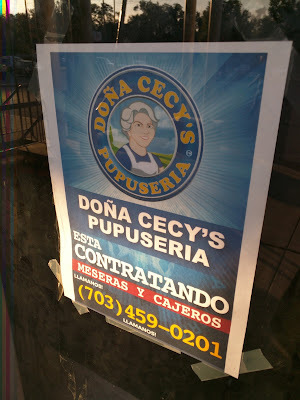 The new interior of the future Doña Cecy's Pupuseria is looking spiffy at 2002 Veirs Mill Road in Rockville. Furnishings are in place, and it looks like opening day isn't far in the future. 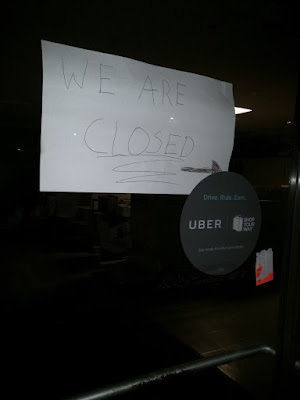 They are also hiring all staff. 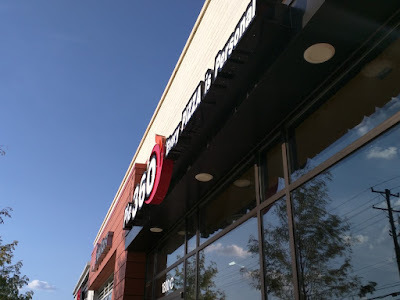 Doña Cecy's is in the Twinbrook Shopping Center. Residents of The Galvan will soon have a short trip to buy booze. 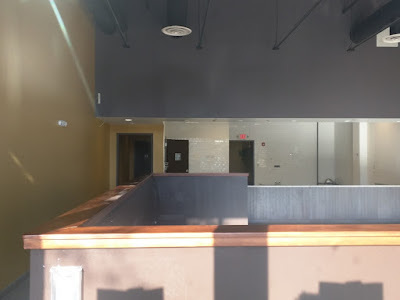 The Beer Junction, a beer and wine store, will open in the ground floor of the apartment building at 1800-C Rockville Pike. 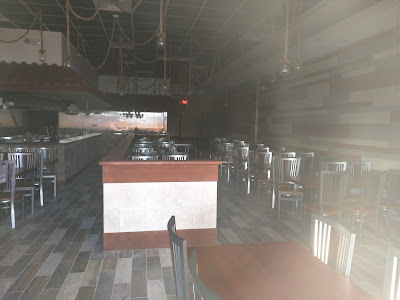 With the old Pie 360 sign still up, one wonders how many hungry drivers have pulled off the Pike thinking they're going to get a pizza at this place, only to find it's closed. 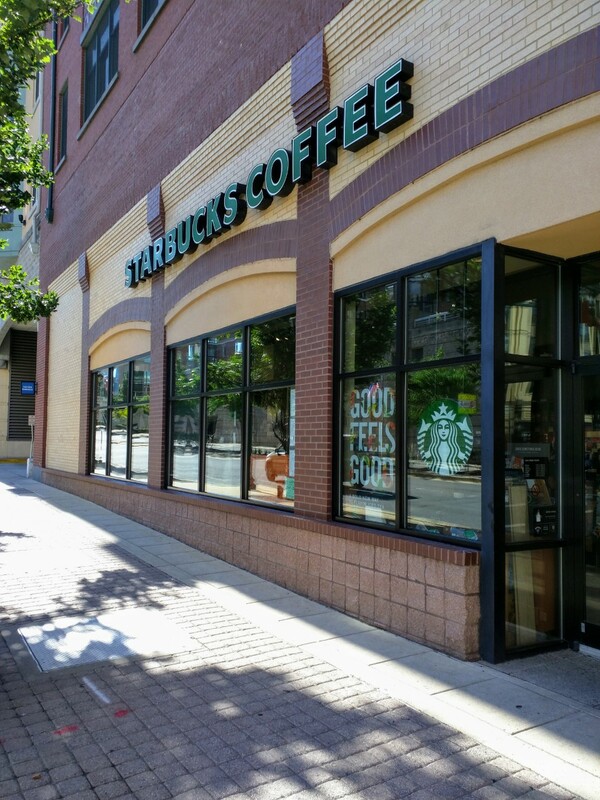 Starbucks has reopened at Rockville Town Square after an extensive interior renovation. 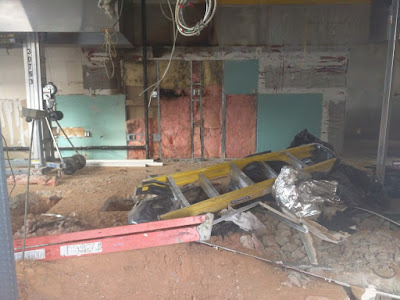 The renovations went beyond the cosmetic, with major upgrades to the kitchen and plumbing system. Look for new fall items on the menu, including Pumpkin Spice Chai, pumpkin scones, and - of course - the Pumpkin Spice Latte. Scout Schultz, a Georgia Tech student shot and killed by a campus police officer Saturday night, was a native of Rockville, according to The Washington Post. Schultz was killed in what authorities lay out as a "suicide by cop" scenario, in which Schultz allegedly threatened officers with a knife and shouted, "Shoot me!" A Georgia Bureau of Investigation spokesperson said detectives found 3 suicide notes in Schultz's dorm room. They also alleged that Schultz himself made the 911 call that drew a police response, and described a person resembling himself who was armed and dangerous. Family members of Schultz have questioned the details of the this account, according to the Associated Press. Schultz was president of Georgia Tech Pride Alliance, which describes itself as "a student organization for LGBTQIA students and their allies." 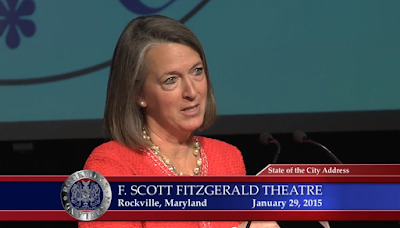 The organization's board released a statement crediting Schultz with the group's advancement and success over the last two years. Violent protests spurred by the fatal encounter led to Georgia Tech urging students to remain indoors last night. At least two police officers were injured, and Schultz's parents urged demonstrators to remain peaceful in their protests. Classes at Georgia Tech are resuming this morning as scheduled, the university said in a statement. King Farm could lose more future jobs if the Mayor and Council approve yet another request to convert planned office space in the development to residential. 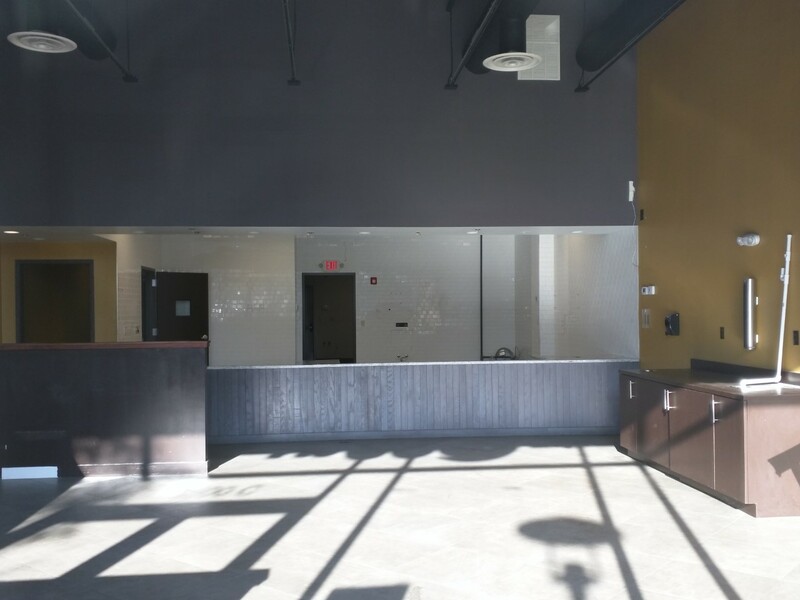 Developer Penrose Group is seeking the change, to allow construction of a condominium building and a series of "triplexes" on sites currently reserved for office space. The Mayor and Council will hear testimony on the proposal during a public hearing at tonight's meeting, which begins at 7:00 PM at City Hall. 120 of the housing units would be in a condo building at Piccard Drive and Choke Cherry Road, and 42 more would be in triplex homes on King Farm Boulevard. The units would be within the total number allowed by the King Farm master plan; 3,329 housing units have been constructed in King Farm so far, and 3600 units is the total permitted. 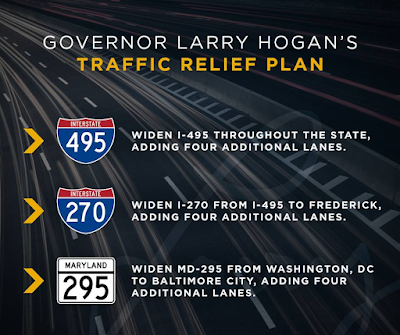 However, the provision for office space in King Farm was designed to reduce traffic congestion by creating more job opportunities for residents of the development and the city. Swapping those for residential keeps all of the current commuters on the road, and adds the new residents who will commute in the morning. While claiming that the revenue will help the City or County is perhaps the oldest canard in the developer PR handbook, the reality is that office developments create more net revenue for governments than residential. Not only does residential generate students for already-overcrowded public schools, but also requires the delivery of government services. In contrast, people working in the kind of offices you find in a place like King Farm are less likely to require government services. They not only may live outside of the jurisdiction, but also are probably making a decent white-collar wage and can support themselves. The proposed change has been endorsed by the King Farm Citizens Assembly, and by a number of nearby landowners and developers. 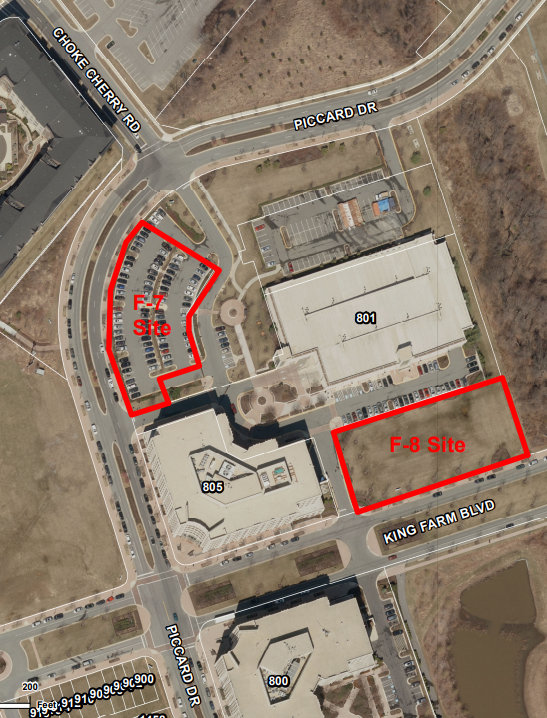 Representatives of B.F. Saul/Saul Centers and their project partners unveiled plans for an 18-acre site on Rockville Pike by the Twinbrook Metro station at a public meeting last night. 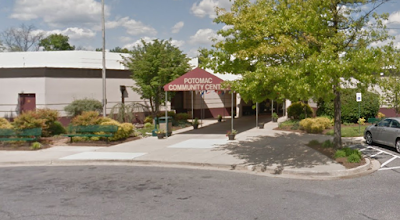 About 25 residents listened to a presentation, and gave feedback at tables designated for topics such as transportation, open space and project uses. The huge project, which could have up to 1865 housing units, will likely take more than a decade to fully build out, attorney Bob Dalrymple said. Anchoring the site will be a one-acre Central Park, and several smaller parks. 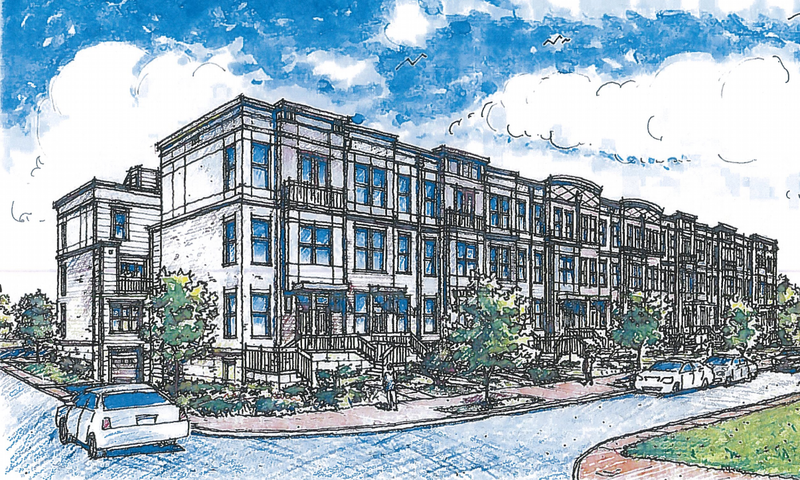 The property is 600 feet from the Metro station, which executives say makes the site ideal for dense housing. B.F. Saul Senior V.P. Todd Pearson said the original 2016 project concept has been overhauled to incorporate community feedback. 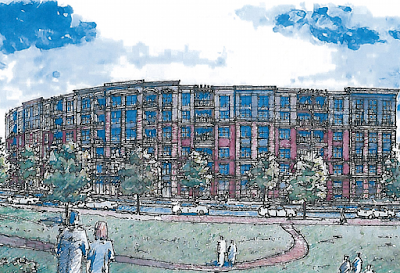 He said nearby residents asked for "great and engaging open spaces for the community," retail and entertainment options, and varied heights ranging from 6 stories near Twinbrook homes to 150'. 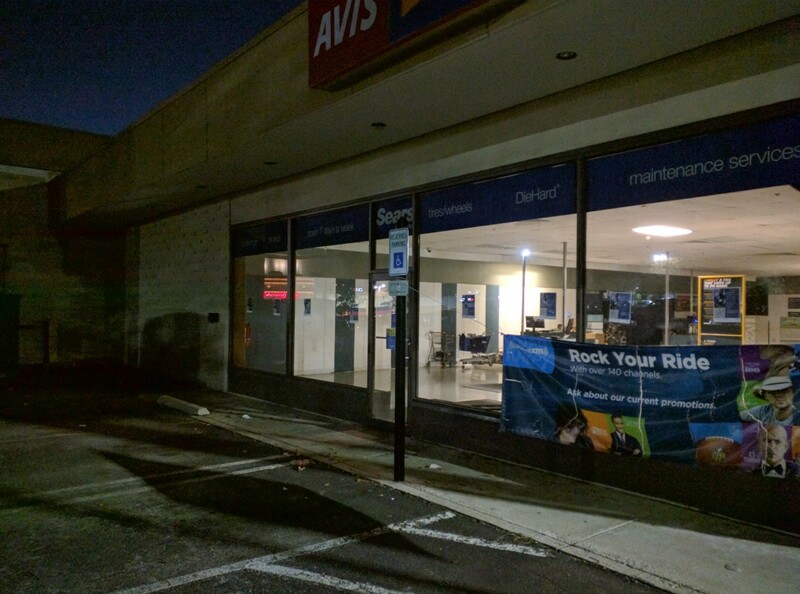 The project has also grown in size, after the company was finally able to reach an agreement with the property owner at the northeast corner of Rockville Pike and Halpine Road. 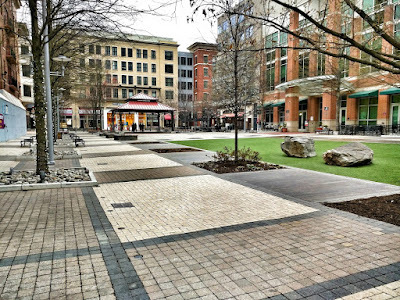 Both Saul Centers and the City of Rockville had wanted that last corner to be added, a gateway location Pearson called "the front door to the project." Tom Gallas, CEO of Torti Gallas, said a planned office building at that corner will be a "signature gateway" to the development. Among the highlights of the new 2017 plan are the aforementioned Central Park green space, a straightening of Festival Street and Chapman Avenue Extended, and a plan to keep all loading docks and truck traffic away from the Central Park area. 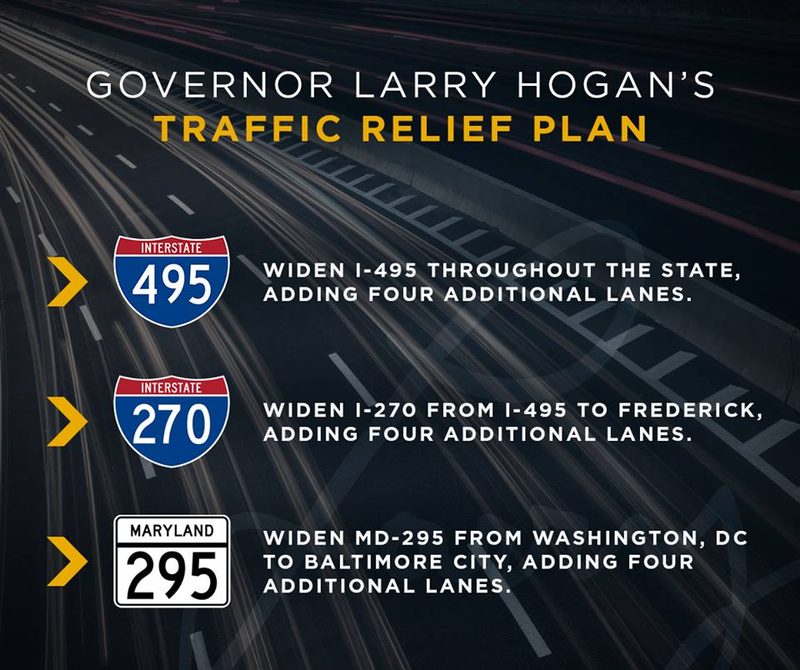 To achieve that, a service road will run under the cantilevered edge of the buildings along the Metro tracks, placing all deliveries and loading docks back there out of sight of both the development's future residents, and Twinbrook residents across the tracks. 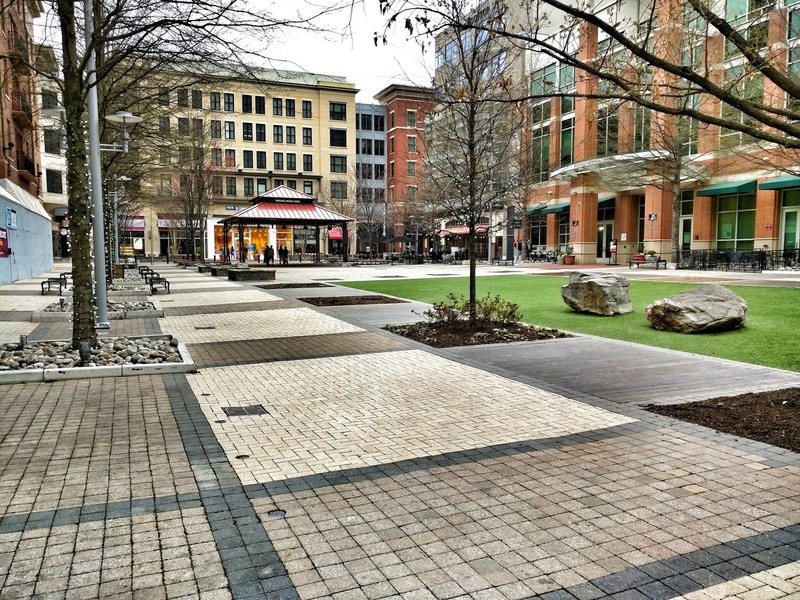 The proposed Central Park would be four times the size of the square at Rockville Town Square, and three times the size of Rose Park at nearby competitor Pike & Rose. 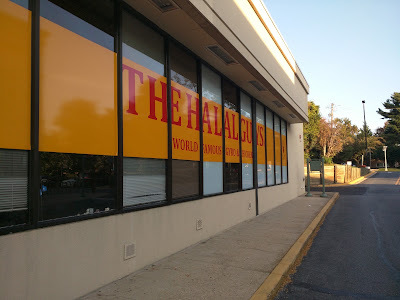 Daniel Ashtary, AIA, a principal at Torti Gallas, said the green will have real grass. Asked if architects had considered moving the 2-story restaurant building at the north end of the park - or the kiosks at the south end - to create an even-larger green space, Ashtary said the park will feel much bigger in person due to the scale of the buildings around it. B.F. Saul said all such suggestions from attendees will be considered going forward. There is also the possibility of bringing in a large tree to help create a sense of place as Pike & Rose recently did, Ashtary said. 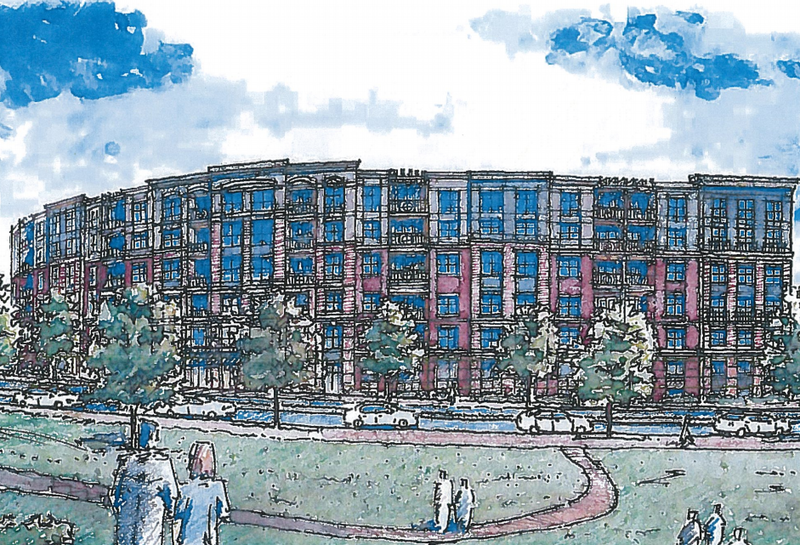 A dedicated bike lane is expected to run alongside the Pike in front of the development. One attendee stressed that he would like to see that bike path added "sooner, rather than later," in the staging process. He said such an example would put pressure on future developers along the Pike to add such bicycle infrastructure. An aerial view of the site today (above) was shown, and then compared to a rendering of what the site might look like a decade from now (below). Click any image to enlarge for greater detail. 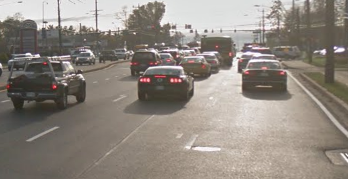 Another idea on many minds at the event was the long-discussed possibility of adding a new pedestrian connection between Twinbrook and Rockville Pike over the railroad tracks. B.F. Saul representatives said that, while this is not in the preliminary design plans, they are open to the idea. There are some residents who aren't receptive to the idea, worrying that apartment dwellers across the tracks will litter and leave dog waste in Twinbrook. School overcrowding is a topic of concern at every meeting on a new development, and last night was no exception. No estimates of student generation rates were discussed. Some questioned if Saul Centers could fill all of the retail spaces in these 10 buildings. "Is there too much retail already?" one attendee asked. "We don't want empty storefronts," Gallas said of these questions later in the meeting. Getting the parking number right was also a concern. One intriguing idea was the possibility of adding a platform where people could watch trains passing behind the building. Others stressed that they would like to see local businesses in the development, rather than national chains. One major issue that drew many questions during the breakout session was staging. 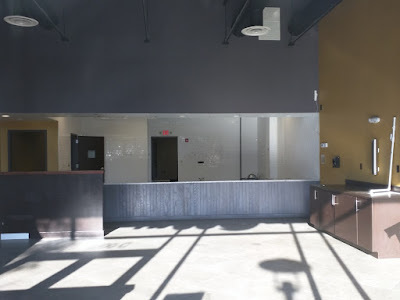 Some of the team partners suggested that the signature office building at the corner of Halpine and the Pike might be the first constructed. However, John F. Collich, Senior VP of Acquisitions and Development for Saul Centers, said that no such plan is in stone yet. He said the ultimate staging is up in the air at this point, and will be entirely market-driven. Delivering the expensive Central Park amenity for example, Collich said, will require getting some revenue coming in from the property first. And the project hasn't even been approved by the City yet, a key first step in attracting tenants, he added. Going forward, the City's Development Review Committee will take up the Project Plan application on September 28. Review of that plan by the Planning Commission and Mayor and Council will take place between this fall and early 2018. In the future, site plans will be submitted for the various stages of the project, and those will have to be approved by the Planning Commission. Pearson emphasized that B.F. Saul has been around since 1892, and has a long-term commitment to its projects. "We are not a build-and-flip type company," he said, which "incentivizes us to work with the community." A website for the project was announced, as well as other contact information for community feedback (see last image at bottom). Smoothie King is coming soon to Congressional Plaza in Rockville. 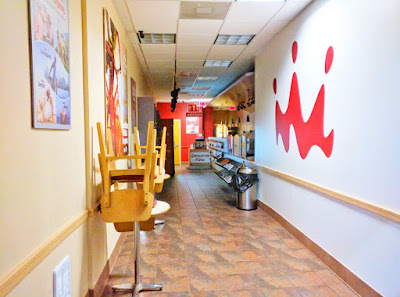 The health-oriented beverage cafe has an existing Rockville location on Shady Grove Road. Next door neighbor Lucy Activewear will close by the end of the year, according to a corporate spokesperson. The permanent sign has been installed at the Brightview West End senior living apartment building in Rockville Town Center. Featuring 195 units for assisted living, independent living and dementia care, the building is expected to open next month. 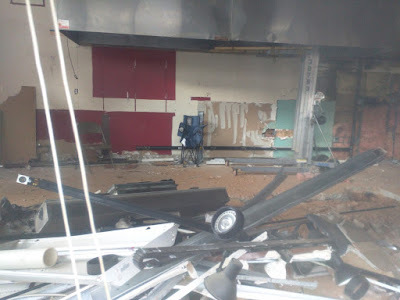 The expected remodeling of the Starbucks at Rockville Town Square is underway. Although the coffee shop had requested a permit to be able to operate a "temporary cafe" during the renovation, when I stopped by yesterday, the Starbucks was simply closed. Old furniture and carpets had been pulled out onto the sidewalk. There was no sign visible stating when the store would reopen yesterday, or what the schedule is during the work. 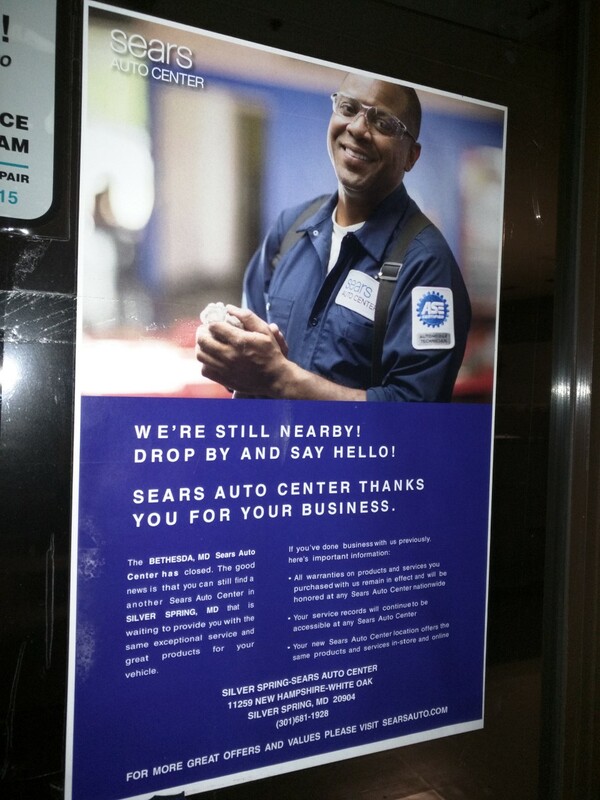 Sears Auto Center has closed at Westfield Montgomery Mall in Bethesda. 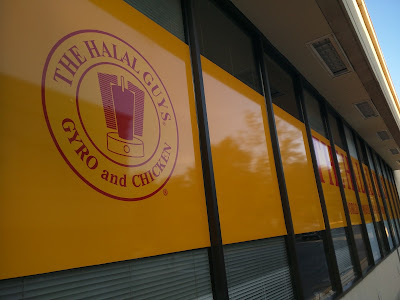 Signage has been stripped from the building facade, although some of the lettering has left behind a ghostly image. Now only the White Oak Sears Auto Center remains in Montgomery County. The closure has added urgency to the debate over when the Sears store at the mall might close. 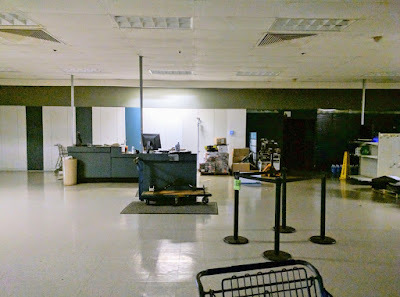 Westfield has already purchased the store building from Sears. 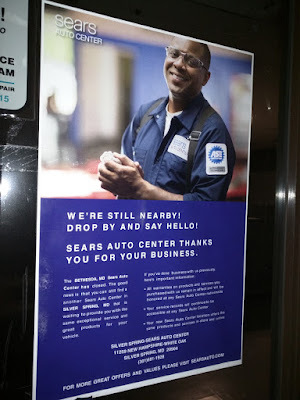 But this auto center closure comes as a knowledgeable source tells me Sears is planning a new round of store closures in the coming days or weeks. 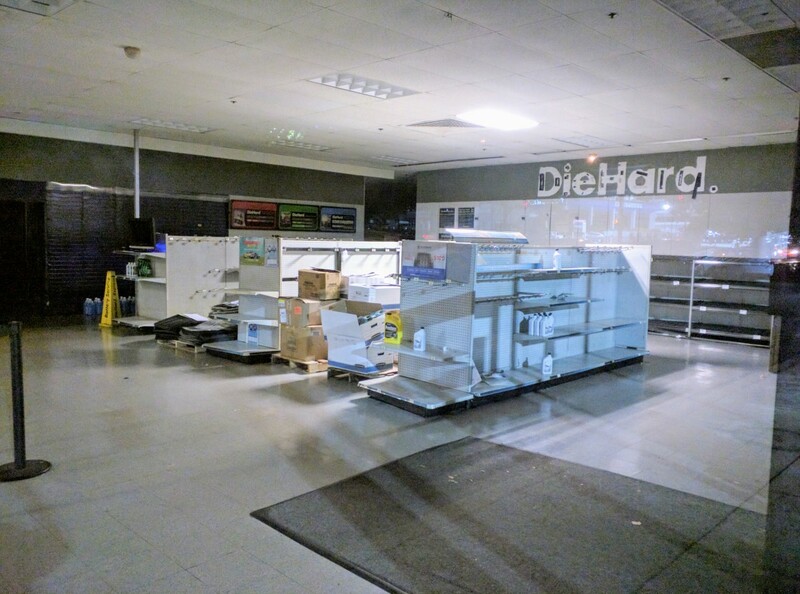 Notably, this set of closures will now include some profitable Sears locations.